Ready to scare the crap out your neighbors this Halloween? Need some more music for your party? Last year I released an album for Halloween called NO GHOSTS. JUST FEAR. It has 5 original dark ambient horror soundscapes. It was mastered by the wonderful Gannon Kashiwa and I encourage you to download it as the 128-bit stream doesn't do the pieces justice. So grab it and blast out into the neighborhood!!! There is sub-woofer food in here so make your house rumble!!! High resolution download version is "name your price" (so if your tight on cash, enter 0). 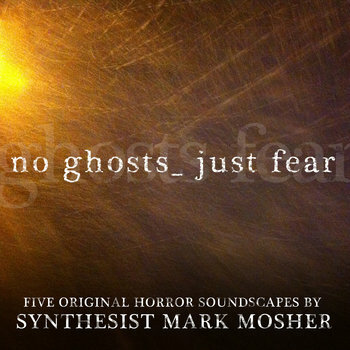 As always I appreciate your support through music buys http://shop.markmoshermusic.com/album/no-ghosts-just-fear.